Lots of Questions, No Answer: Will TVA Schedule Another Meeting? · Is TVA now actually considering alternate routes vs. cutting a mile-long swath through virgin farmland, or just pacifying citizens? · When you add 200 people traveling to TVA’s new secret city, what happens to traffic on HWY 60 and HWY 58? What about road deterioration? · There’s no sewer infrastructure in Georgetown, so TVA is going to build its own wastewater facility? Has there been an environmental study done? · What is TVA’s history of using government’s power of eminent domain to condemn and take a person’s private property? · What is so secret about TVA’s secure office complex that it couldn’t tell any local, state or federal elected officials? · Did TVA study what impact its new complex will have on the Georgetown area, not counting damaging the farmland? · What about using the TVA project as a catalyst to provide sewer to the Georgetown area in the future? · The ground is hard in Georgetown. Will there be any blasting taking place? · Are there any other facilities or a Phase II for the TVA property beyond 185,000 square feet and a wastewater facility? · TVA promised some citizens that officials would report back in 30 days. Will TVA schedule another meeting? 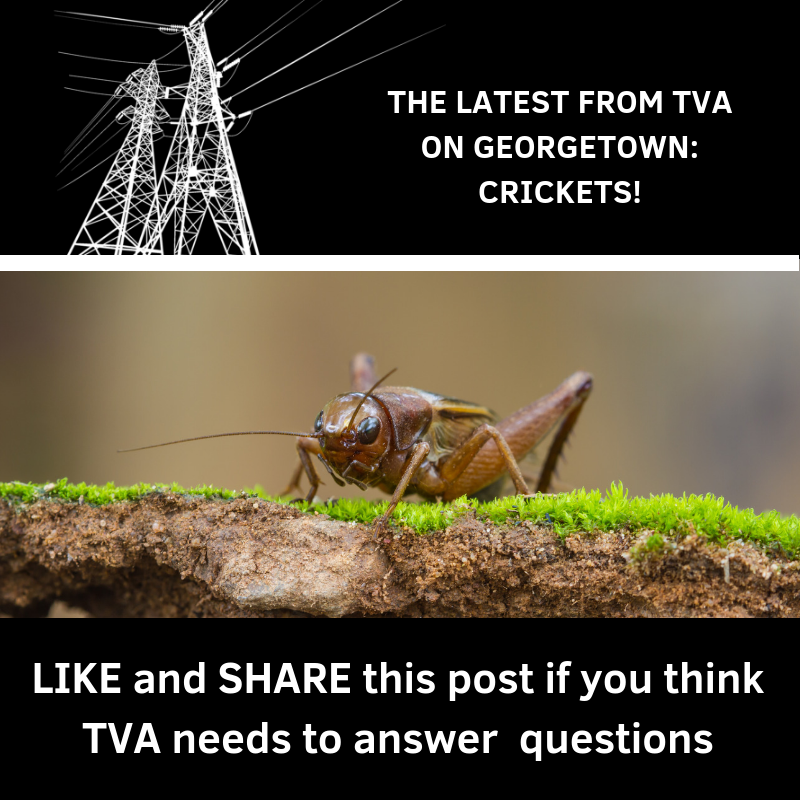 Do you think TVA should answer our questions? Like our Facebook Page. Share our posts. Talk to your elected officials and tell them to ask TVA to schedule another information meeting. Newer PostTraffic. Sewer Confusion. Roads. Did TVA Consider the Impact on Infrastructure in Georgetown?